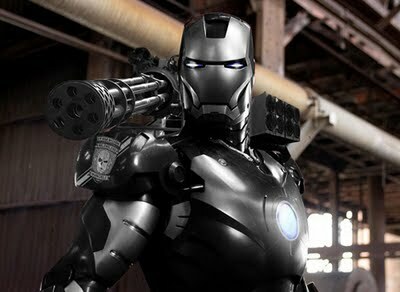 Ok, not exactly anime related but hey, I'm certain most of you are eager to see Iron Man 2. The trailer has just been released and many fans are happy to see that it'll star Black Widow, being played by Scarlett Johansson. The role of Whiplash is Mickey Rourke while the role of War Machine (pictured above) is now Don Cheadle (instead of Terrence Howard). You might also notice that the Afro Samurai himself, Samuel L. Jackson is playing the role of Nick Fury. See, I connected anime somehow ^^;. To view the trailer, click the link above.